It's not just that we don't fix our clients to a contract, or that our prices provide exceptional value for money; it's that our optimizers were amongst some of the best PPC Adwords management optimizers according to the leaderboard of the only competitive Adwords management company that ever existed for freelancers. 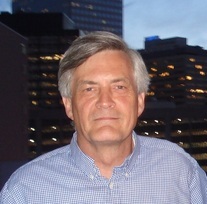 Mike Jelley is the founder and principal of NoContractPPC. A search marketing professional, with a Bsc in Computer Science and Advanced Adwords Search Certification, he specializes in squeezing extra conversions for less bucks. Whether he achieves that success through diligent market research, careful bid optimization or quality ad copy is less important to him than that he reaches his goal. Whilst working for a worldwide Pay-Per-Click freelancing organization, building and optimizing numerous campaigns for clients, he regularly achieved a top ten position in the monthly leaderboard of success (competing against hundreds) , several times coming in at number 1. A native born Brit, now living in Belgrade, Mike 'cut his analysis teeth' whilst working for Her Majesties Audit Commission as a Data Analyst. He learned to grasp the swirling data of any project presented to him and transform that data into a clearly worded answer to the questions his chiefs put before him. Bringing those data analysis and narrative skills into the 'data driven' and 'ad copy' realm of Pay Per Click advertising Mike has enjoyed huge success. 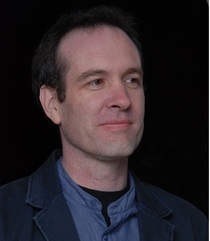 Stephen Mahlum is a founder of NoContractPPC. He has worked full time in online search marketing since 2011. Stephen is AdWords Certified and has worked with over 100 AdWords and BingAds clients, some for several years, others for short term projects. Stephen earned a BA from Dartmouth College and an MBA from the Stanford Graduate School of Business. After completing his formal education, he worked in the corporate world for 10 years in sales and marketing. He saved some money, left the world of big business and bought his first small business, a retail store. Since then he started, built and sold several small businesses, while also investing in residential and commercial real estate. The entrepreneurial life is exciting, but all-consuming. Working in online search marketing gives Stephen the opportunity to enjoy a less hectic lifestyle, while remaining active and engaged in the business world. He is highly focused on helping small businesses grow profitably by targeting and building the segments of their businesses that can generate the best ROI. Stephen lives in New York State, USA.